Do you like football, or soccer, as the Americans call it? Check? Okay. Do you like cars? Check, again? Okay. Bumpyball was created with you in mind. Now, imagine an online, multi-player soccer game where road-rage is blended with football on a football pitch. Imagine a football team that is made up of cars instead of people. Imagine executing cool maneuvers with your car while trying to push a ball into the goalpost. I mean, screeching tires, 360 degree spins, the entire works, all in a bid to score a goal and prove your dominance! Is that drool I see trickling down your chin? Don’t worry, you are not alone. I understand. I won’t judge. We are all in this together. The idea behind this game is simple and straightforward. If you understand the game of football and you have ever seen or played a car racing game, you are good to go. You belong to a team that is made up of three cars. 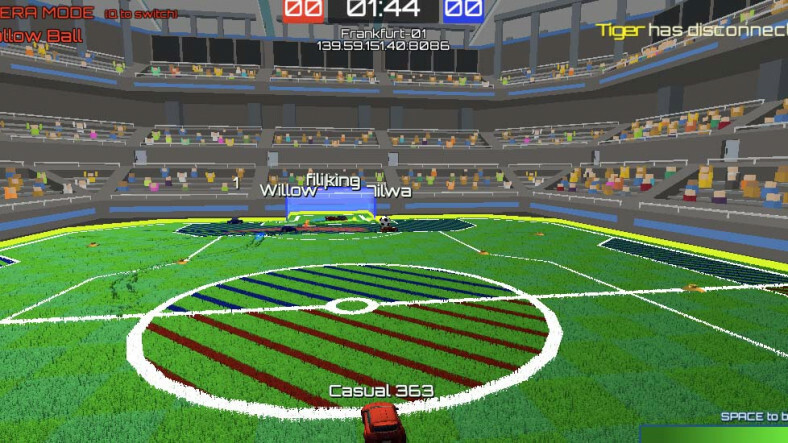 Your task is simple; score a goal using your car, at the same time you have to prevent the other team from scoring in your own net. You can score as many goals as you wish until you reach the top of the leaderboard. Few.io games have excited me as much as this one. 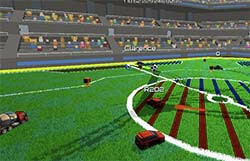 Bumpyball is madness and incredible fun merged in a delicate balance, to provide an exhilarating gaming experience. It is an excellent game. You should definitely try it. WASD keys are for movement in all directions around the pitch. W is for going Forward. A is for going Left/Sideways. S is for going Right/Sideways. D is for going Backwards/Downwards. You can also use the arrow keys for steering the cars in any direction you desire. Press Space bar to boost/short sprint/shooting.